Upon request of a dear reader, I am writing today about making your own cat food. 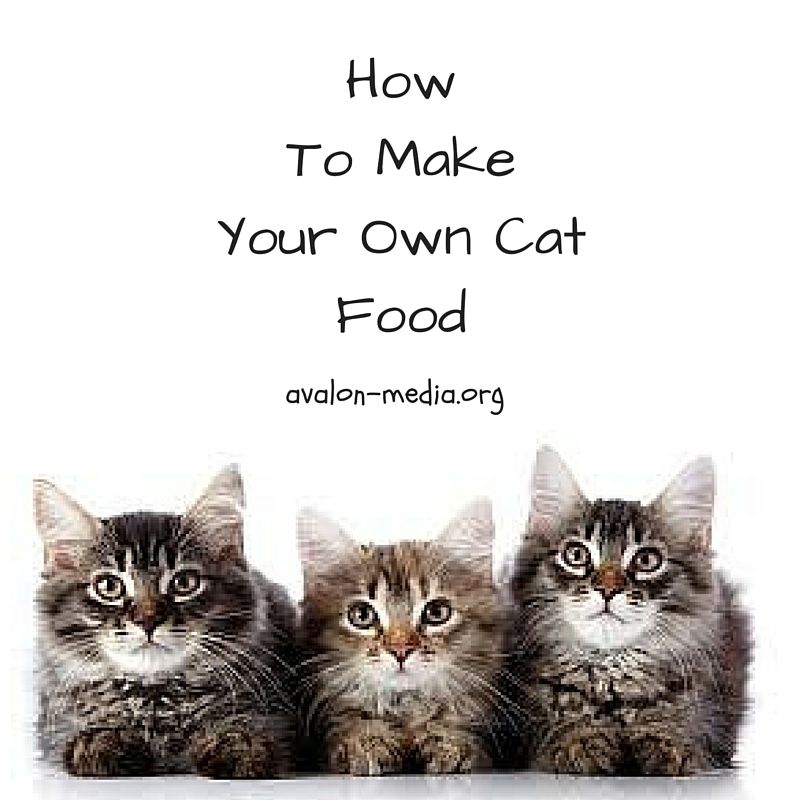 But before sharing a recipe with you, I would like to take a moment to caution you about making your own pet food. My dogs are fed exclusively on homemade dog food, due to severe allergies. They simply can not eat the commercial stuff without loosing all of their fur, and breaking out. My cat, on the other hand, is almost exclusively fed on commercial food, because he has no allergies. If you are feeding all of your pets homemade food, do not feed the same food you make for your dogs to your cat. With very different nutritional needs, you would have to cook separately. That said, I make homemade cat food as an occasional treat, which he enjoys very much. You should consult your holistic veterinarian for feeding guidelines, or consult books specifically written on the subject. Some of my vegan friends consider feeding their cats and dogs an animal protein-free diet. I personally do not recommend that the same goes for raw diets. Most people making homemade food for their pets will agree that liver should only be fed on occasion as the animal protein given. I completely stay away from liver, as my dogs both seem to have an adverse reaction to it (even though they love the flavor). Every animal will react different to a homemade diet, therefore, your vigilance is required. This entry was posted in Book Reviews, books, healthy living, house and home, Pet Care and tagged allergies, animal care, animals, care, cats, cook books, cooking, DIY, DIY pet food, dogs, family, food, foods, health, healthy living, home made cat food, home made dog food, Pet Care, pets, recipes, rescued animals. Bookmark the permalink. my pleasure, Michelle! Looking forward to hearing from you!